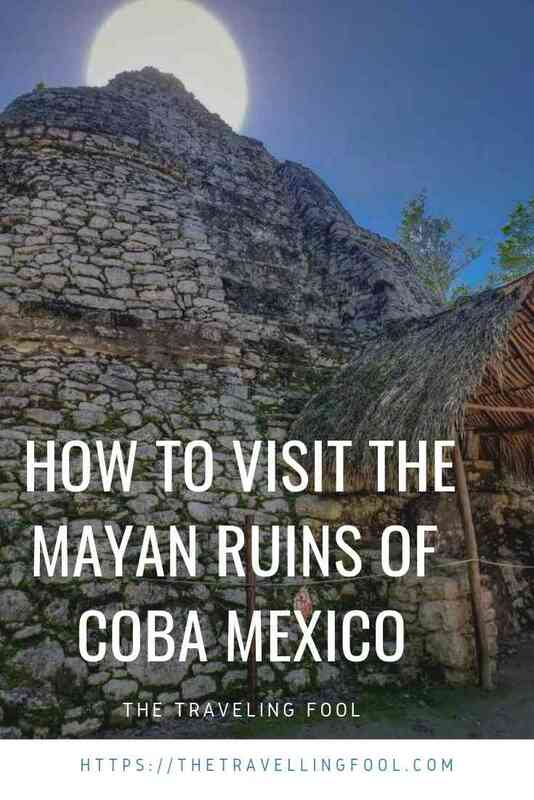 The ancient Mayan city of Coba was first settled between 50 BC and 100 AD but it was during the time between 200 and 600 AD that Coba became a prominent city and one of the most powerful Mayan city states in the Yucatan peninsula. 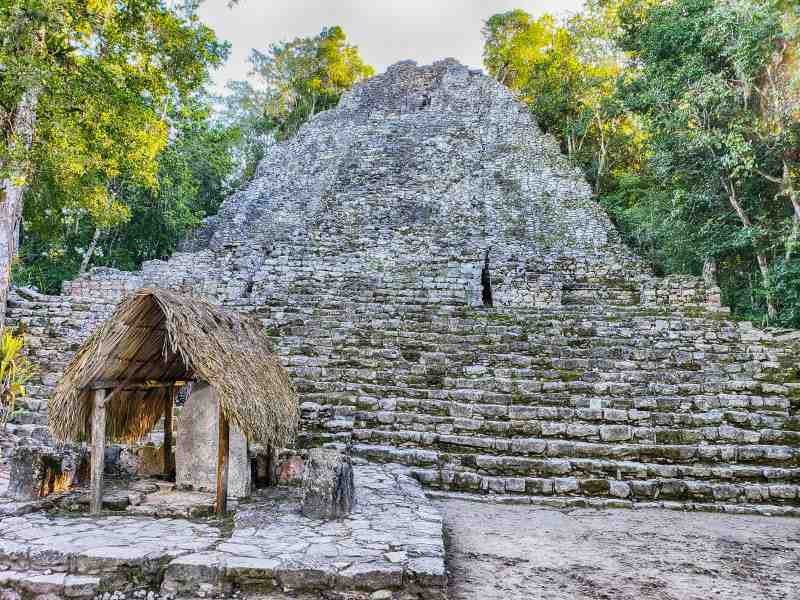 At the height of its popularity, Coba is estimated to have had 50,000 inhabitants. Today the Mayan ruins of Coba are a popular destination for beach lovers in Cancun and the rest of the Mayan Riviera. Every day hundreds of people make the trip to view the ruins and maybe learn a little bit about this fascinating culture. I was lucky enough to have a great guide. Rebecca with Alltournative Tours was very knowledgeable about the history of Coba and took time to inform our group about everything on the site before turning us loose, pointing us in the right direction and letting us explore on our own. Coba is a working archeological site with only a small percentage of the sites estimated 6500 structures being uncovered and restored. 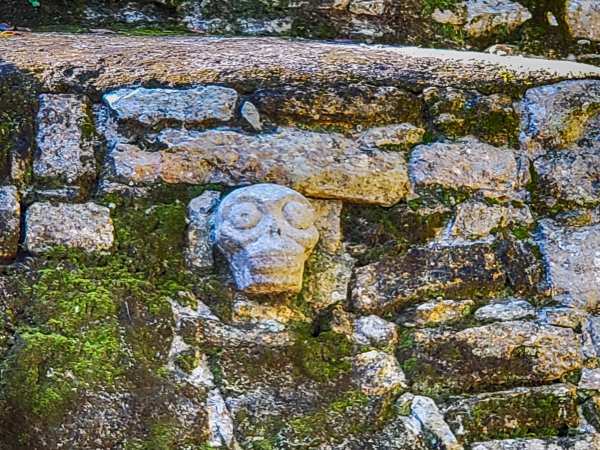 For centuries the site was known only to the local Mayan community. In the 1880’s a couple of explorers were allowed to visit the site but is was not widely known to the archeological community. It wasn’t until the 1920’s that a highway was built which enabled the site began to garner interest and start to be excavated and restored. Upon entering the site, one of the first structures you will encounter is La Iglesia, the second tallest pyramid on the site. Standing 74 ft tall, it is believed to have been built between 550 and 900 AD and used for religious purposes. You can also see one of the over 20 stelas at the site. 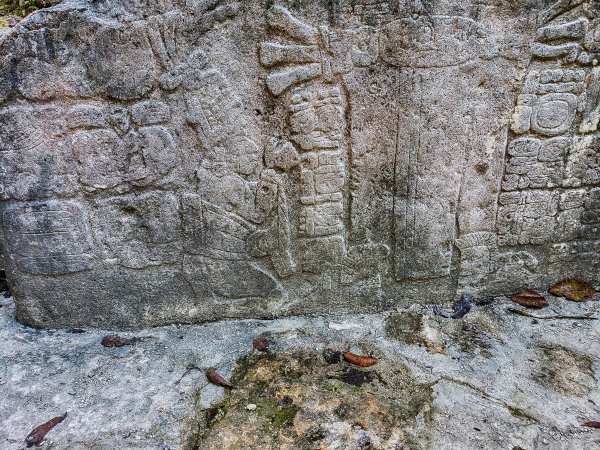 Mayan stelas are tall sculpted stones depicting people and hieroglyphics. After you leave this area you can rent either a bicycle or human powered taxi that will take you around the site. For less than $10 USD the bicycles and taxis save a lot of time and walking and let you explore the area a lot easier. Coba has two ball courts on the site. 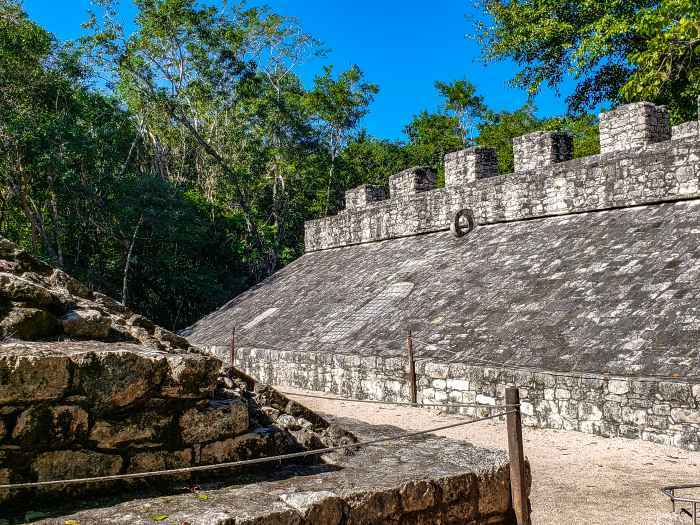 Ball courts were popular in Mayan culture with many sites having more than one. Some, as in the case of Coba, are fairly small while others, like the one at Chichenitza are huge. 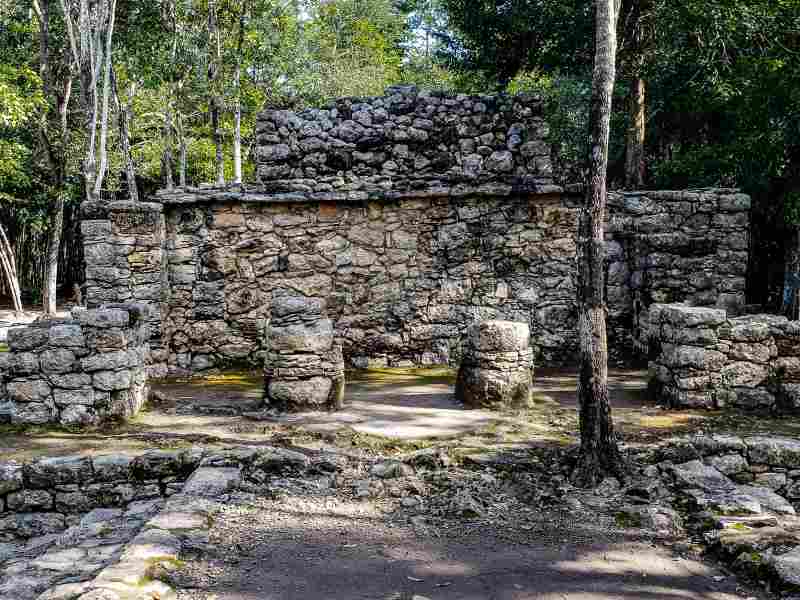 There are other structures at Coba including the observatory. Even though it has the name suggesting some ancient astrological use, researchers are not really sure what it was used for. 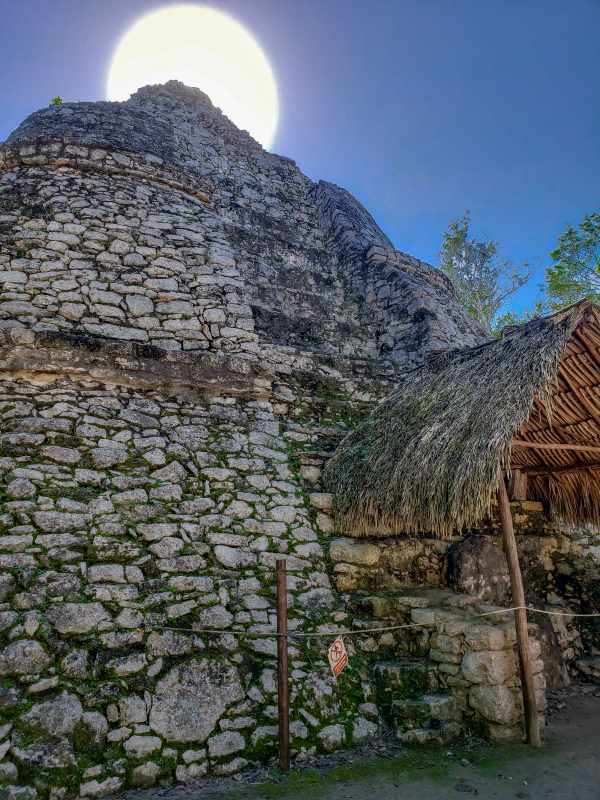 The main attraction at Coba is the Nohoch Mul Pyramid, the largest Mayan pyramid in the Yucatan. Standing 137 ft tall the pyramid has 120 steps compared to the pyramid of Chichenitza which has 90. 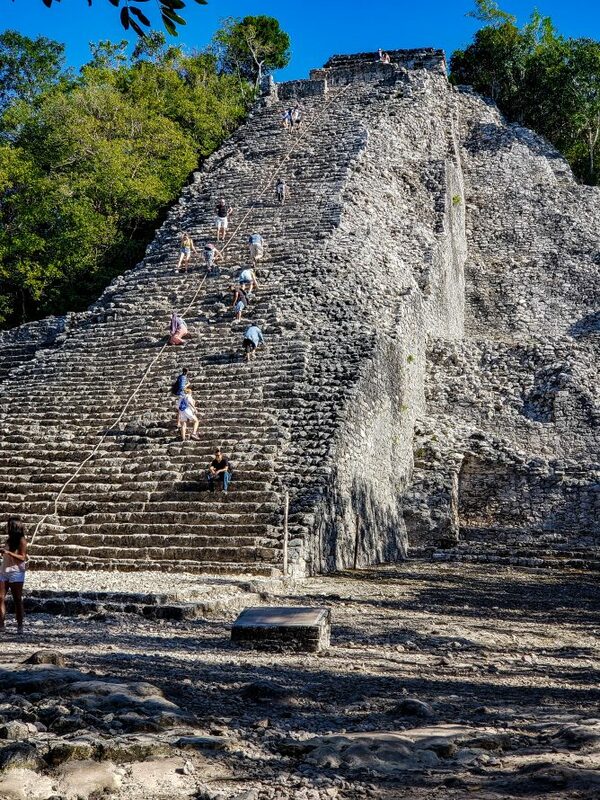 Unlike El Castillo pyramid at Chichenitza, you can climb the stairs of Nohoc Mul pyramid. Other structures have been uncovered but there are many more that have yet to be restored. One of the unique things about Coba is the existence of Sacbes. A Sacbe is a paved white road ranging from 10-30 feet wide and used in the Mayan culture for commerce and connecting cities. The name Sacbe in Mayan means “White Way” and it is thought the roads got their white color from limestone stucco or plaster applied to the road. There have been more than 50 Sacbe discovered at Coba with one that reaches 62 miles from Coba to Yaxuna. Unlike roads of today these roads were built straight. 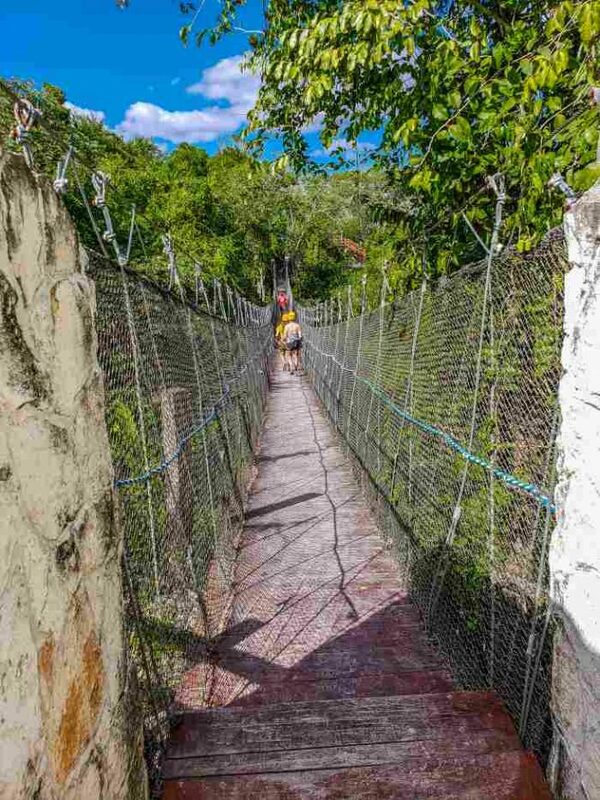 Visit Coba today and you can walk the same roads as the ancient Mayans. Coba is easily reached by bus or car from Cancun, Playa Del Carmen and other areas along the coast. 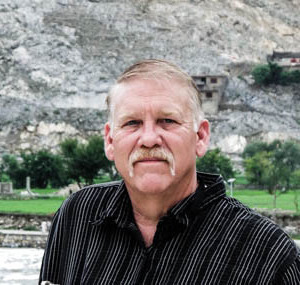 While you can explore on your own, the best way to see this historic site is with a competent and reliable tour guide. 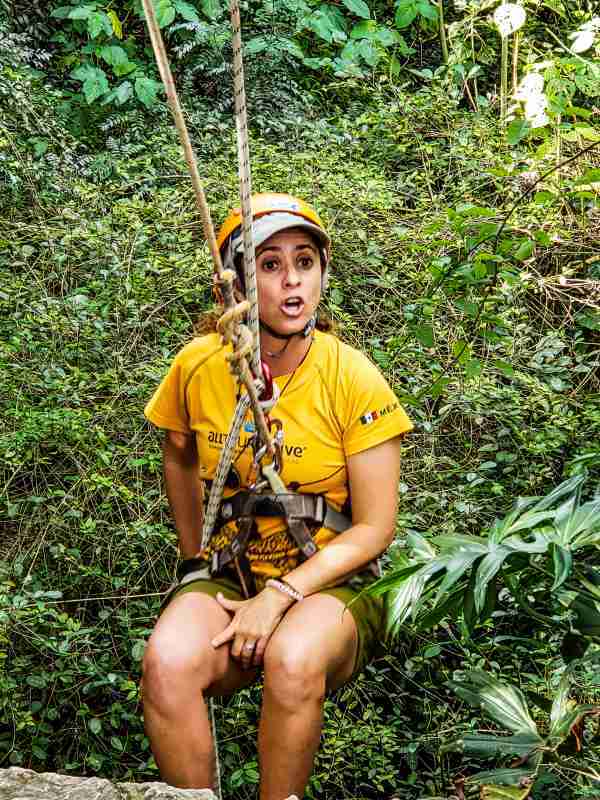 Alltournative Tours has established itself as one of the leading tour companies in the Yucatan and with good reason. 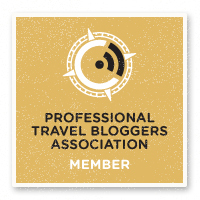 Since inception in 1998, Alltournative Tours has strived to give visitors from around the globe the best experience possible while adhering to strict safety standards and using best practices in sustainable tourism. 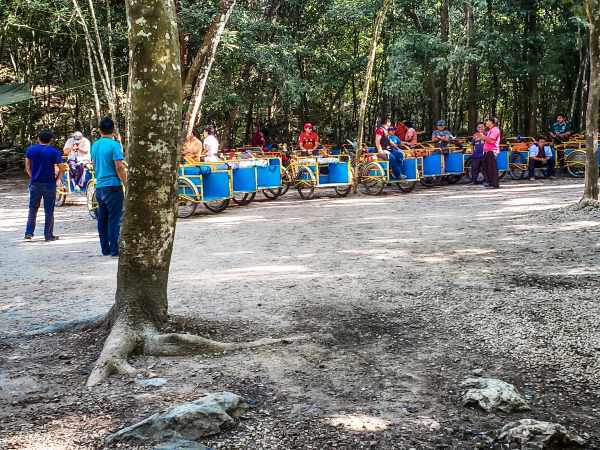 The company partners exclusively with several Mayan villages and bring their groups there for various activities a few times a week helping create jobs and bringing tourism to the villages. A few people from the villages have even gone on to become tour guides for the company. Alltournative offers several tour packages from snorkeling to ziplines and rappelling along with visits to the major Mayan sites such as Coba, Chichenitza, Tulum and Ek Balam Cenote. Comfortable walking shoes, if doing and water activities look into a good pair of water shoes. Sunglasses and hat. It gets hot and humid in the jungle. Biodegradable insect repellent. The Cenotes and other sites are protected areas and fragile ecological areas. Only biodegradable repellent is allowed. Water proof case for your smartphone. If doing an adventure tour, a DSLR or other camera won’t be allowed, since you need both hands. It is advised to get a cheap waterproof case with a strap, to put your smartphone in. Money for taxis or bicycles at ruins, souvenirs, snacks and tips. No drones. You will not be allowed to fly your drone at these sites. Great pics! Looks like an amazing trip. Great history on the article! Cobá is amazing!